We are one of the leading stockists, Suppliers and Exporters of Lead Products. Leveraging the skills of our qualified team of professionals, we are engaged in providing Lead Ballasts. We are offering Lead Ingots to our clients. Monthly Supply Capacity: 200 Tons. Pure Lead Ingots are produced from Raw Lead Bullions/ Remelted Lead Ingots/ Secondary Lead Ingots / Lead Scraps through Pyro Metallurgical process. Our refining process produces Pure Lead Ingots with a purity level of 99.97% to 99.985% by weight. Pure Lead Ingot is being produced from Remelted and Secondary Lead Ingots / Lead Scraps / Remelted Lead Blocks. Our Refining Process producing Pure Lead Ingots with a minimum purity level of 99.97% by weight but achieves purity level of 99.97% above in all cases. We are manufacturers of Lead (Pb) Ingots in Pure and Alloy form. We offering a comprehensive range of Lead Ingots which is made using premium quality raw material. These ingots are widely used in various processes such as lead smelting and recycling. 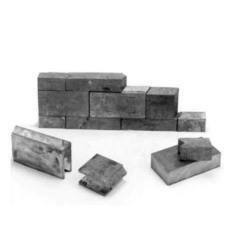 A whole range of Leaded Bronze Ingots is available with us, comprising ingots of various chemical composition. As we are known to deliver quality products, we use the raw material (metals) which is sourced from quality & industry leading suppliers. 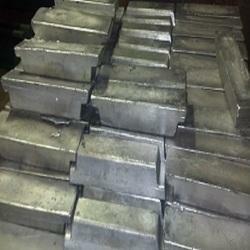 We supply Lead Ingots which is used for manufacturing lead storage batteries and chemicals. We bring forth quality Lead Ingot that is manufactured from raw Lead Bullion and re-melted, secondary lead ingots and lead scraps. These Lead Ingots are known for their purity and high strength among the clients. Avail Lead Ingots at market leading prices.